NEW YORK, New York, August 17, 2010 (ENS) – New York Mayor Michael Bloomberg Monday signed into law an air quality bill that requires cleaner burning biofuel to be blended into the oil used for heating homes and buildings in the city. Starting in October 2012, heating oil sold within New York City must contain at least two percent biodiesel. The blend is known as Bioheat, a green fuel that is gaining popularity in Northeastern and Mid-Atlantic states. “Promoting the use of cleaner burning heating fuels is one of 14 air quality initiatives from PlaNYC 2030 and I am pleased to say that the legislation before me today will do just that,” said Mayor Bloomberg, signing the bill into law. The bill, called Introductory Number 194-A, requires that by 2012, the sulfur content of Number 4 heating oils be limited to no more than 1,500 parts per million and all heating oils used in New York City contain at least two percent biodiesel. “Introductory Number 194-A will significantly reduce pollution, promote the use of alternative fuels, create new green jobs and vastly improve air quality throughout the city,” the mayor said. “We are already home to what will be the largest biodiesel processing facility in the country as well as a growing grease collection industry, and we expect to see more green collar jobs and green economic growth as a result of our legislation,” Gennaro said. The new city law will complement a new state law, signed last month by Governor David Paterson, that reduces the sulfur content in Number 2 heating oil by 99 percent. “Together with forthcoming regulations from the Department of Environmental Protection, these initiatives will literally save lives,” Bloomberg said. From its office in Jefferson City, Missouri, the National Biodiesel Board hailed the new law as groundbreaking municipal policy. 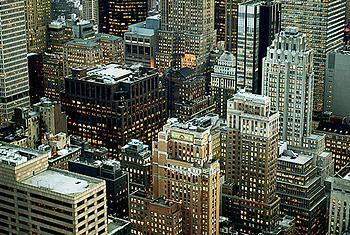 “New York City is already the nation’s largest municipal user of biodiesel. We applaud the Mayor and City Council for building on that legacy by adopting a universal biodiesel requirement that will further improve air quality in the city,” said Shelby Neal, NBB’s director of state governmental affairs. NBB member METRO Fuel Oil Corp., a fuel distributor located in the New York City area, is scheduled to open one of the country’s largest biodiesel plants next year in Brooklyn. METRO plans to process used cooking oil from restaurants in New York City into biodiesel. The company says it also will use other sustainable resources, such as soybean oil and algae. NBB member Sprague Energy, a biodiesel and petroleum distributor located in New York state, helped champion the legislation.